I was really looking forward to Disgaea D2: A Brighter Darkness. The original game is one of my favorite strategy RPGs, and although I enjoyed its many sequels, I always wondered why they never revisited the original cast as main characters to continue their story. While each sequel was packed with more and more new features, none of the characters resonated with me the way the original trio did. With Disgaea D2, it’s great to have Laharl, Flonne and Etna back in the spotlight. The game is also packed with many of the features you would expect of a modern Nippon Ichi strategy RPG, and a few you might not expect. So far I have played 20 hours of Disgaea D2. 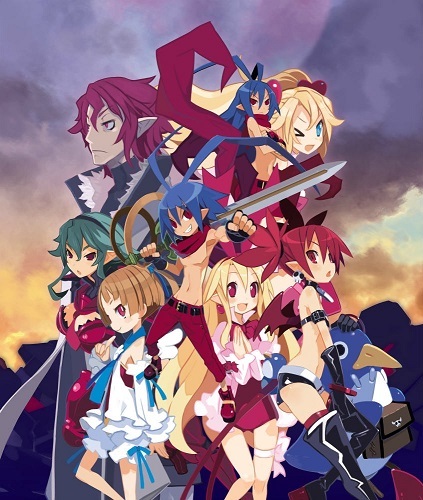 Laharl, Flonne and Etna are back, and they haven’t changed much after all these years. Laharl is still a complete and total brat, and his personality hasn’t changed in the slightest despite the events at the end of the original game; Flonne is still naïve, innocent, and a total love freak; and Etna is still intelligent, methodical and willing to serve Laharl as his vassal as long as he falls in line with her expectations. Like in other games in the series, the story unfolds through a series of chapters. Each chapter takes place in a different setting and contains its own story arc, like a volume of manga, while a greater overall storyline builds up throughout the game. Some chapters are better than others. I particularly enjoyed one chapter that provided more insight into Etna’s past, and I couldn’t help but to appreciate seeing the return of the very greedy Hoggmeiser and his now grown-up son, Porkmeiser. Nods to the original game like this are present throughout Disgaea D2, and any fan of Disgaea: Hour of Darkness should enjoy spending more time in Laharl’s Netherworld. The main storyline this time involves the sudden appearance of angelic flowers in the Netherworld, and it’s up to Laharl to determine the source. Could the angels of Celestia be invading? As the story unfolds, more and more characters from the original game show up, and I’ve liked what I’ve seen so far of the story. But there really are a ton of new features that make Disgaea D2 the best game in the series, at least from a mechanical perspective. There are major changes, like humanoid characters being able to mount monster characters. This really adds a lot of new strategic opportunities for planning out which characters to bring into battle and makes monsters a lot more viable. Then there’s the Devil Dojo which allows characters to train in a variety of disciplines so that when they level up they will get more of a certain stat or a bonus to resources earned for defeating enemies. But there are also more subtle changes as well that series veterans will appreciate, like an Innocent Bank to store Innocents in when they are not attached and providing bonuses to an item. So far it seems like Disgaea D2: A Brighter Darkness is everything a fan of the series would come to expect from a direct sequel to Disgaea: Hour of Darkness. It’s got more of the same, which is a good thing in this case, but it is also the latest evolution of an always refining and improving formula. It is unlikely to bring in many new fans, but series veterans will be very pleased. Check back in a week or two for our full review of Disgaea D2, including a detailed look at the end game, the Item World and all of the optional content that is sure entertain for even longer than the main campaign.